All Assured Response CPR & First Aid programs are taught under the guidelines of the Workplace Safety & Insurance Board. Businesses that wish to (or want to help) place an AED (Automated External Defibrillator) in a school (or not-for-profit organization) can do so by organizing their Standard First Aid & CPR training through Assured Response. Every employee trained will be credited towards the placement of an AED. 20 employees trained = 20 credits. Schools will receive an AED when they reach 100 credits. Our very competitive regular corporate rates apply, the pricing being at or below that charged for similar programs. 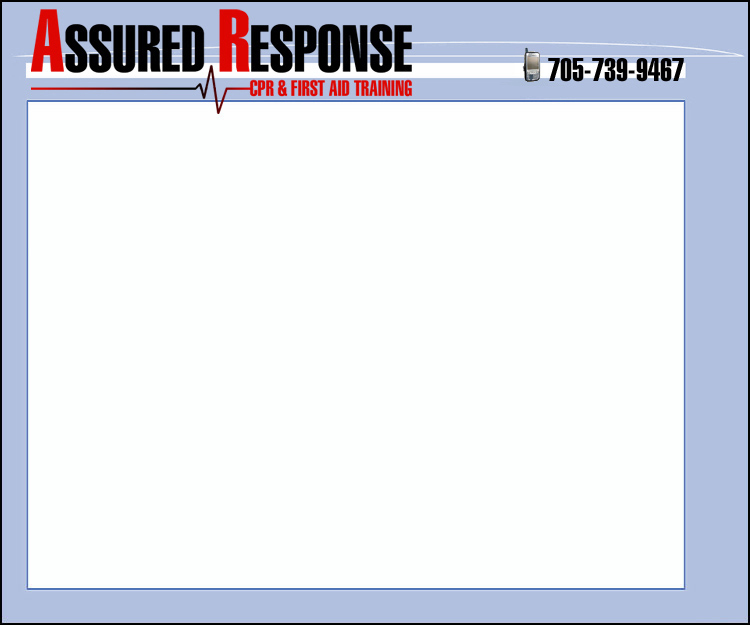 As a bonus, any person trained by Assured Response’s Defibrillators for Schools Program, will receive FREE AED training on the date of their choice (a $95 value!). Any business or business group that organizes a Standard CPR & First Aid Training Program for 100+ people may also be eligible to receive their own AED for FREE! Assured Response (Defibrillators for Schools Program) will also receive 100 credits. A minimum of 50% school participation is required for any school to become eligible to receive an AED for FREE. The 100 credits from a business would be distributed between two schools. Each participating school will therefore need only a minimum of 50 additional people to qualify for this lifesaving device. One business can help place AEDs at two different locations, as well as receiving one for the business itself. Participating businesses will also receive lifesaving recognition when their company name appears on a plaque beside the AED placement thanking them for their community involvement and valuable contribution. We hope the lifesaving AED equipment is never used but, if it is, those responsible for having helped save a life should most certainly be recognized. For further details or to book a time for training, please call 705-739-9467.